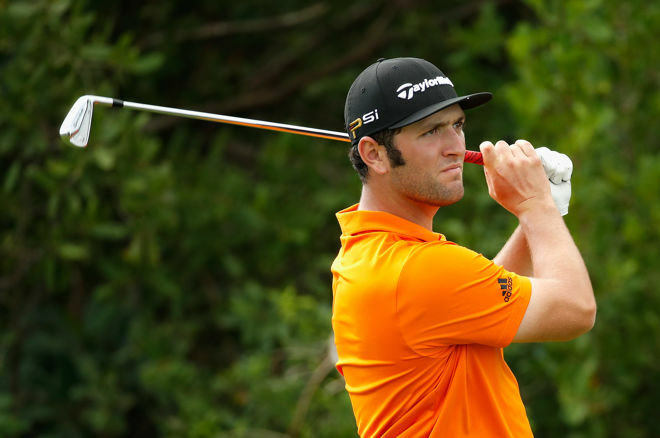 Once again, Jon Rahm leads our top #DraftKings fantasy golf plays. The Memorial is Jack Nicklaus' host tournament at Muirfield Village Golf Club. It is a Par 72 course that plays around 7,390 yards. Recent trends favor a first-time winner here, as William McGirt (2016), David Lingmerth (2015) and Hideki Matsuyama (2014) stood in the winner's circle, but remember trends are made to be broken. With the strength of the field this week and how the top players are playing, it will be very difficult for a player to get his first win at Memorial. The course is fairly long and the long hitters will be able to score on the Par 5s this week. Although distance is not a key stat, Par 5 Scoring is. The chalk this week should be the two best players in the field. With both playing like they are the top two players in the game, we will take the one that is $900 cheaper and not blink an eye. Rahm cracked the top 10 in the OWGR after placing runner up last week in the Dean & Deluca. His stats, like his form, speaks for itself. He ranks fourth in BoB% and 10th in BA while ranking second in T2G. He is one of the most complete players in the game, which is unheard of for his young age of 22. We would normally put a Tiger reference here but given the events that happened Monday morning, we will stay away. Rahm and DJ are the two best overall plays this week but at their price you can only chose one. We choose Rahm. Rickie Fowler is $8,900. For comparison, Patrick Reed is $9,200 and Brooks Koepka is $9,700 and are both ranked below Fowler in the OWGR. Rickie is a tough book to read. In his first four years at Muirfield, he had a runner-up and a 22nd. His Achilles heel was double bogeys or worse — he had 10 in 16 rounds. In his last six rounds at Muirfield, all missed cuts, he posted 15 bogeys with only two doubles. He seemed to limit his big numbers but he still made too many bogeys. Rickie has always been in the top 25 in BA so this is baffling to us. But we expect him to fix his bogey problem this year. He makes a ton of birdies (ranked fifth on tour in BoB%) so if he minimizes those bogeys, you will see his name atop the leaderboard Sunday. This may be the perfect spot to play Phil. He is cheap and will be sort of low owned (around 10%). Like Rickie, Phil makes a ton of birdies (ranked 10th in BoB%) and he does so by dominating Par 5 Scoring (ranked 5th). One thing we have noticed is that the recent winners were struggling in the stat category, but if you dissected it, you'll notice they were improving each week up to their win. In the last five weeks, Phil went from 65th in SG:App to 24th, and has gone from 57th in T2G to 46th. A big stat that Phil had struggled with this year is Approaches 150-175 yards. Phil ranks 137th on tour in that stat but last week was ranked ninth in the field - a very big improvement. Phil is on pace to have the best putting year in his career and once his short- to mid-irons improve, he will get that first win in two years. Phil loves history and what better history then to win Jack’s tourney?